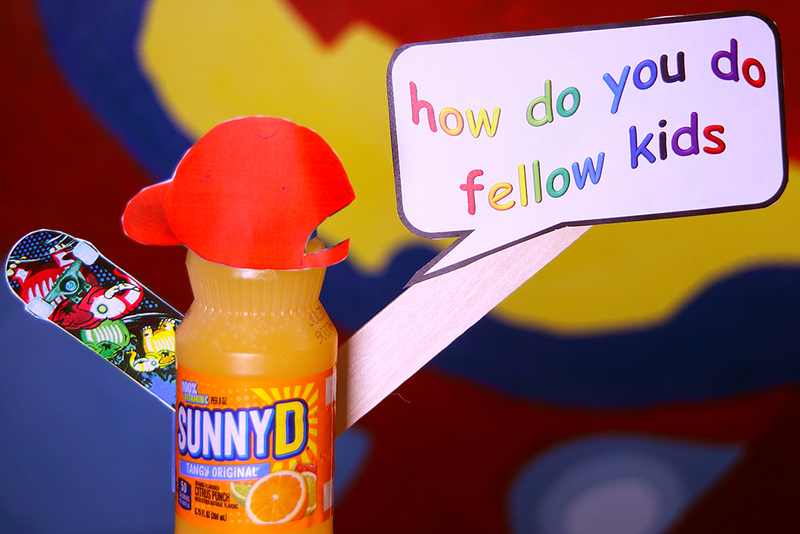 The official SunnyD Twitter account being #relatable to millenials. Way back in the day, in the year 1926, there was a company that produced a brushless shaving cream called Burma-Shave. They wanted to increase sales, and the recent rise in popularity of the automobile led to an idea that would change advertising forever: witty roadside signs. They would write rhyming slogans, split them across multiple signs, and place them on the sides of the new highways nationwide. 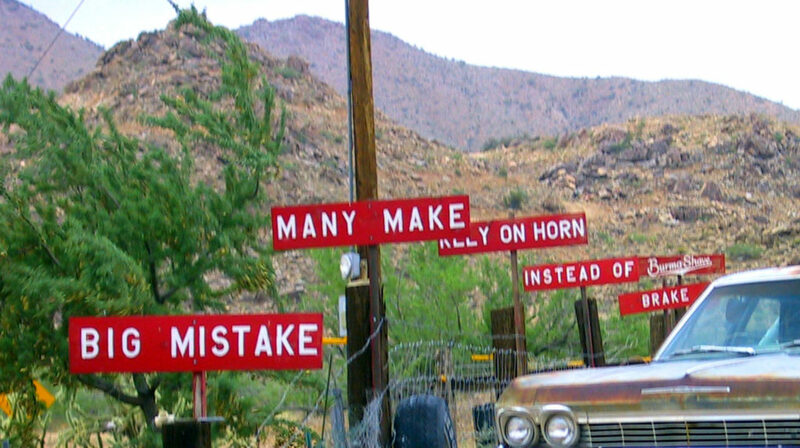 A picture of Burma-Shave signs in their natural habitat on Route 66. Fast forward: today, the internet has revolutionized the way we advertise. “People who came out of college with degrees, or even people who have been in marketing for years, all of a sudden, they found themselves saying, ‘Well, what are we supposed to do with this?’ And nobody knows! There’s a chapter in the textbook, but even it is so incredibly far behind,” says Jane Bell, GU’s own marketing professor. Still shopping? Never fear, MoonPie is here! Plenty of great gift ideas, personalized MoonPie boxes and all your favorite flavors. Enjoy! This pivot worked in their favor, at the time of writing, that tweet has almost thirteen thousand likes, and over two thousand replies. Ironically, MoonPie has found success doing what Burma-Shave did all those years ago: creating a conversation around their product. People would point out the Burma-Shave signs to one another on road trips, there’s even books today compiling all of the 600+ rhymes that were once spread across the continental United States. Many of those rhymes had little to nothing to do with the product itself, but by making the signs ubiquitous and witty, it led to the words “Burma-Shave” burrowing their way in to the American cultural consciousness. At the time, it was difficult to spread one’s branded wittiness, it required the production and placement of hundreds of physical signs. Now, however, communication is instantaneous, and we have hundreds of thousands of companies lined up at the shouting match vying for our attention. Curious to understand why an orange drink was imitating a depressed person, I asked Professor Bell to explain more about the basics of brand engagement. 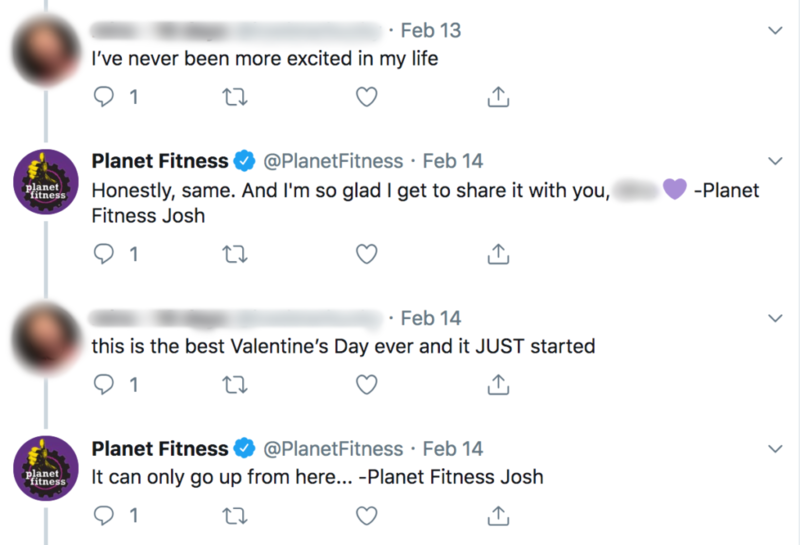 Planet Fitness, for instance, regularly flirts with Twitter users as a method of advertising. MoonPie obviously took the route of appealing through humor, and for an example of appeal through sexuality, one needs to look no further than Planet Fitness (pictured right). So what is this? Is SunnyD appealing through fear? There doesn’t seem to be any implication of “drink SunnyD or you’ll be suicidally depressed,” in fact, quite the opposite, as it’s the drink company itself tweeting these things. No, instead, it seems as if we’ve reached a point in which, in order to be seen as a relatable brand persona to social media users, brands now mimic the behaviors of depressed individuals. And it works, people find these brands relatable enough to get in legitimate conversations with an orange drink company. These brands are seen not as tendrils of massive corporations or as the focus-group-tested results of marketing departments, but as one individual persona, your depressed friend who cracks jokes, SunnyD. Regardless of one’s views on the subject, the fact remains that the phenomena of brands being treated as fellow people on social media isn’t going away. The question then becomes…why are so many young people flocking to brands on social media for love, guidance, and attention? I think I’ll get with the times and allow my close personal friend Steak-umm to answer this one. Click below to be taken to his/her (what gender is a Steakumm?) lengthy Twitter thread examining the issue. Previous articleCould these Avengers Endgame Theories Actually Happen?